Quick thoughts from last night's Emmys, which I loved. Thankfully, I got home just ten minutes before the brilliant opening number. 2. 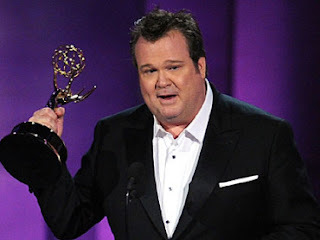 Eric Stonestreet. Loved his win, loved "Mitchell's" tears. Me to T: "If your last name was Stonestreet, I probably would've changed mine." 3. Sofia Vergara. My favorite look of the night. This woman is flat-out stunning. 4. Jane Lynch's Win. She looked beautiful - and I loved that her wife and step-daughter were there with her. The best thing about Sue Sylvester is that the character is instantly iconic. Watching her eat the scenery on 'Glee,' you get the feeling that in ten years we might not remember Schu's name, or Rachel's, or Artie's. But we will always talk about Sue Sylvester. 4. Ladies in Waiting. Tina Fey, Jayma Mays, Elisabeth Moss, and Jenna Fischer: you looked fabulous. 5. Mad Men. I am not surprised, I have the utmost respect for the show, and I really enjoy watching it. That said, I was holding out hope for a "Dexter" upset. Have you seen Season 4? 6. Modern Family. Just thrilled for the show! The spoof during the Emmy's completely stole my heart. George Clooney for the win. As usual. 7. Jimmy Fallon. Nicely done, sir. I agree on nearly every count! Love Eric Stonestreet, love Modern Family, and was SO hoping for a Dexter win. 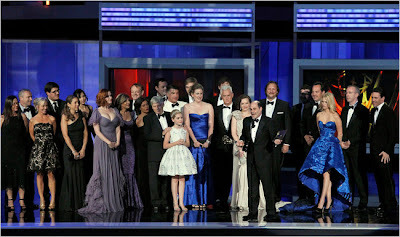 I think the ladies you named looked gorgeous - especially Jenna Fischer. I can't understand why so many people disliked Tina Fey's dress. I think she looked great. I also loved Lauren Graham's dress and that got put on most Worst Dressed lists as well. My love for Eric Stonestreet grew about a million fold. And Jane Lynch can do no wrong. LOVED the Emmy's this year. Agreed! I don't watch Dexter though, and remain loyal to Mad Men. Although last night's episode is going to depress me for the rest of the week. I LOVED the opening number. It was brilliant. Of course - My love for Bruce Springsteen probably runs deeper than it should. Oh well. The only thing you didn't mention that I LOVED was the drama writer interview. They were about a thousand times funnier than the comedy writers, which then made it even funnier. @Melissa: I liked Lauren Graham's dress too! @MG: Ditto on both counts! 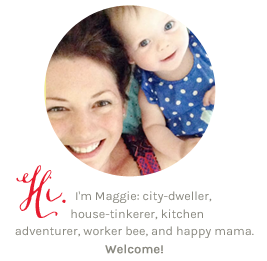 @Samma: Eek, I can only imagine... catching up on True Blood and Mad Men tonight! @Megan: You know, I actually missed that! I'll have to look it up. Something else I neglected to mention: Ricky Gervais! His bit killed me. That really as one of the BEST Emmy's, at least in my opinion!! Loved Sofia's dress the most too. She as so glamorous and beautiful. And that opener!! Could not have loved it more...there was Glee, Tina, LOST! It was so great. I have to agree with pretty much all you said. The only thing I hated about the opening number was Kate G. being in it (I actually hated her being there period, but whatever). I loved Sofia's dress. Also Tina Fey. I would have to add Claire Danes and Lea Michelle to that list. They looked incredible. 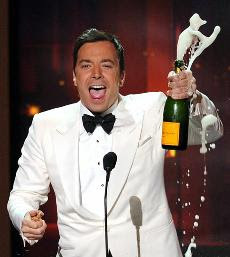 Loved Jimmy Fallon. He couldn't have done a better job. Amen to Modern Family. The show is perfection.